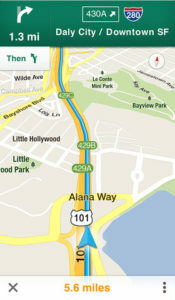 Google – as you probably already know – today introduced a new Google Maps app for the iPhone. People around the world have been asking for Google Maps on iPhone. 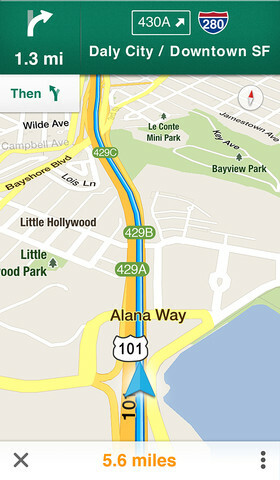 Starting today, we’re pleased to announce that Google Maps is here—rolling out across the world in the Apple App Store. It’s designed from the ground up to combine the comprehensiveness and accuracy of Google Maps with an interface that makes finding what you’re looking for faster and easier. While Google is putting a positive spin on this, it’s actually a huge win for Apple and iPhone users, and a validation of their app strategy. This iOS 6 mapping saga has been a source of tremendous controversy, but here we are three months after iOS 6 was released and iPhone users now have a better Google Maps experience than they did when Google was providing the back-end data for the built-in Maps app. It all worked out. Before Apple introduced its new Maps app, Maps on the iPhone was becoming second rate, with features that many users were asking for missing in action. Now Google has to compete for users on the iPhone, has to ask for permission to use your location and has to deliver a great mapping app for people to even bother with using it. Expect more jockeying on this – but Apple’s strategy successfully neutralized a potential threat from Google. Funny how everybody spins this as if Apple got pwnd!